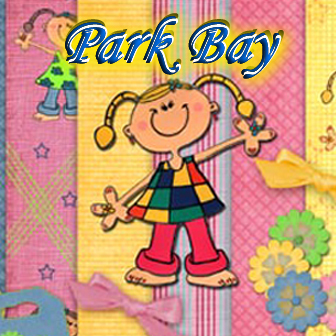 I believed you have heard of Pixart and many bloggers have reviewed it. 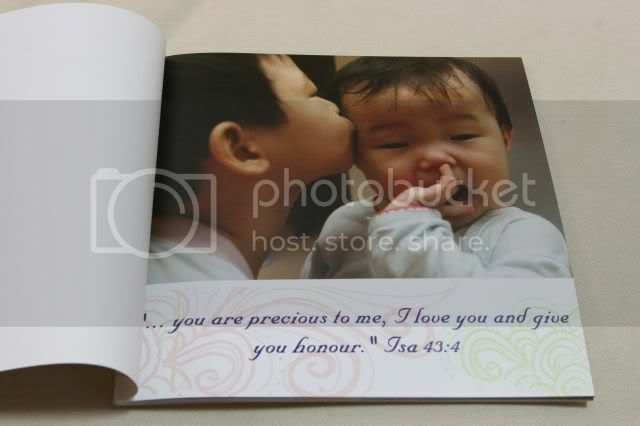 Now there is another competition that has emerged in the Malaysia market called Photobook. For some of you who may not know what I am talking about, let me enlightened you. 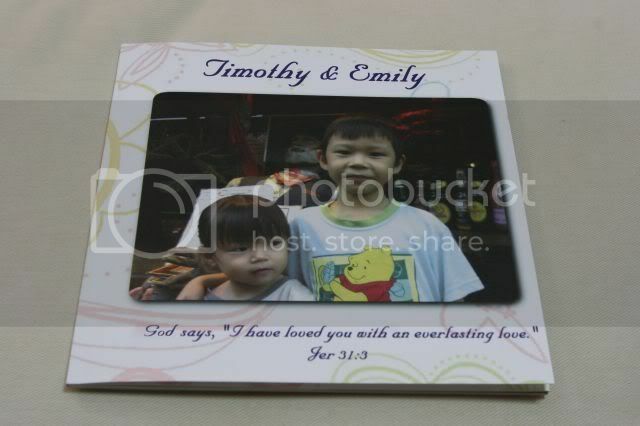 It is an online service whereby you can purchase a personalised book with photos, just like an album. How do you start? 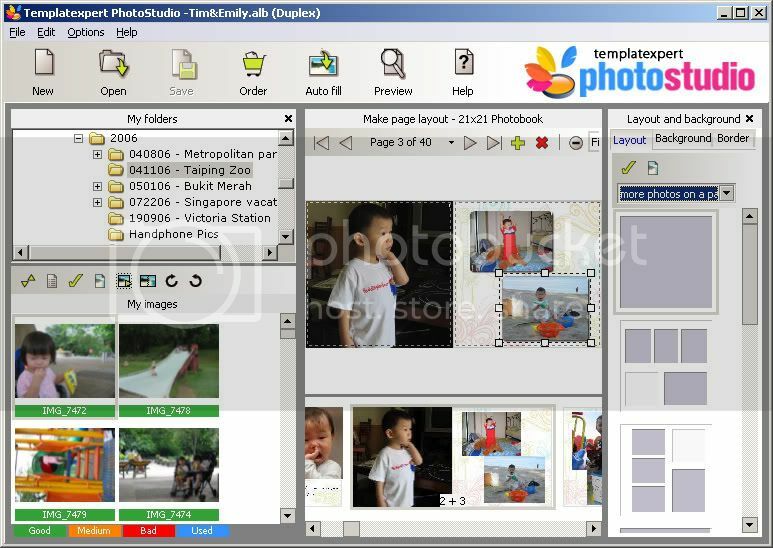 First you have to download their software PhotoStudio and install it on your PC. 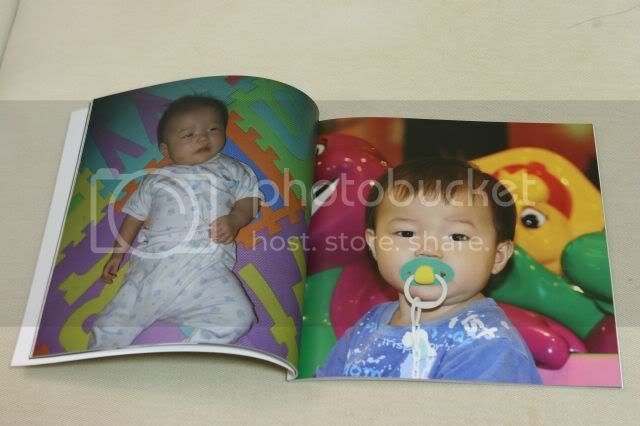 With the software, you can select and pick your photos and start building the photobook. 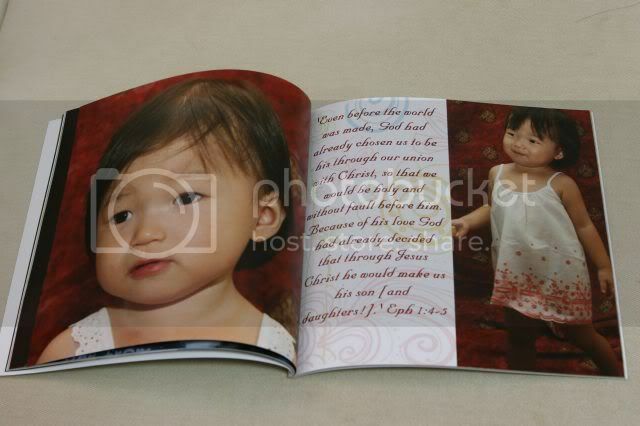 At the end of it, preview and when you are satisfied, you can proceed to order the book. The software will load the book to the shop’s server. Lastly you have to key in details of your delivery address and make payment. Wait for 5-7 working days, it will be delivered to you. Freestyle, you can practically create any layout, theme, background of your choice and add text anywhere on the layout. Your directory folder tree is on the right side for easy selection of pictures with thumbnails view of all the pictures on the selected folder. There is no need to pre-select the pictures. At the right column it has an indication of quality of the pictures in the folders. 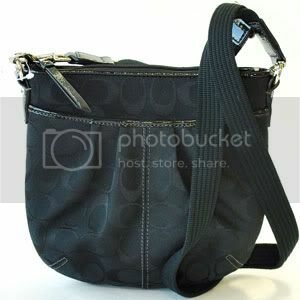 Good, Medium, Bad or Used (meaning the picture has been selected). At the lower window, it has a small thumbnail preview of all the pages. You can resize or move the pictures anywhere on the page. It has a grid to guide. At the end, it gives you a warning if you forgot to fill any of the pages, the photo resolution is poor and the size of the picture is bigger than the frame. For those poor resolution pictures, it doesn’t allow you to insert. The printing will not come out good. It has all the fonts from your PC. You can insert as many pictures on the page as possibly fit. It will be good if there were a few pre-defined layouts themes for non-expert users. Provide a scaling function to focus on selected parts of the pictures. Provide hard cover as a selection. It looks excellent. Picture quality is very good, similar to a developed photograph. I am impressed by it. 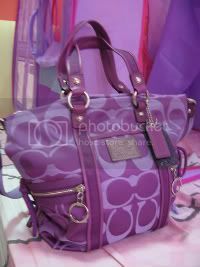 It has a soft cover and as light as a book, you can carry it around. A great Christmas gift. 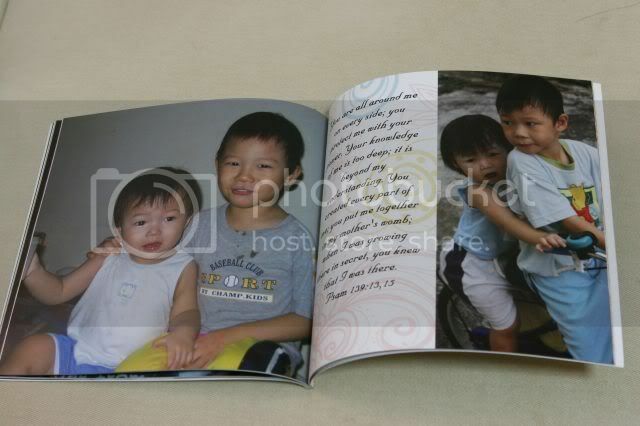 I did this photobook as a gift for my parents as they don’t see my children as much. 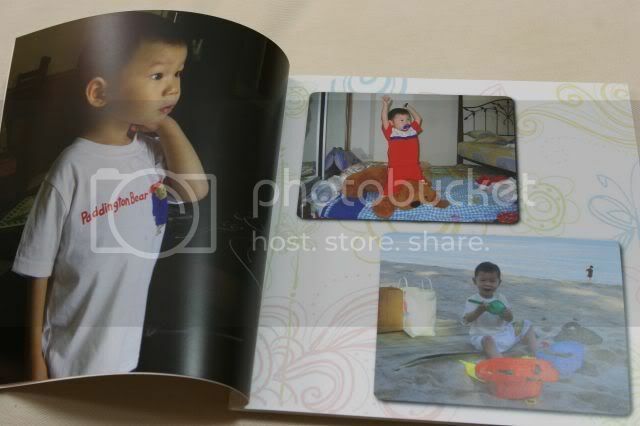 With this photobook, they can admire them day and night. Take a look for yourself and start to make 1. Let me know if you want discount, I can TRY to get for you.